Over the last two decades, Anacapa Heating & Air has provided more than 20,000 satisfied customers throughout Ventura and Santa Barbara County with exceptional heating and air conditioning services at fair and affordable prices. Our comprehensive list of HVAC services includes air conditioner and furnace repair, maintenance, sales, installation, and replacement, as well as air duct cleaning, sealing, repair, replacement, and installation, for residential, commercial, and industrial clients. By consistently providing high quality service, we've earned the Carrier Factory Authorized Dealer distinction, an A+ Better Business Bureau rating, and a growing roster of loyal customers. Being a Carrier Factory Authorized Dealer is a title that only a small percentage of Carrier dealers have been able to achieve. Carrier Factory Authorized Dealers are required to meet a strict set of requirements that include maintaining local licenses and insurance coverage, employing NATE-certified technicians, participating in extensive factory training, staying up to date with the industry's latest best practices for heating and air conditioning installation, maintenance, and repair, and demonstrating an exemplary commitment to customer satisfaction. Homeowners and businesses that choose to work with a Carrier Factory Authorized Dealer, such as Anacapa, benefit in several ways. First, you can trust that all installation, repair, and maintenance work will be done right, the first time, every time. Second, we will provide personalized heating and cooling solutions that not only provide excellent comfort but also great value, specific to your needs and preferences. Finally, all new furnace and air conditioner installations are backed by a 100% customer satisfaction or your money back guarantee for one full year -- a testament to Carrier's confidence in its products and factory-endorsed dealers. Call Anacapa Heating & Air Conditioning today for all of your HVAC needs. As a family-owned and -operated heating and air conditioning company, founded in 1998, we're fully invested in building long-standing relationships with our customers. We aren't trying to compete with the big HVAC companies that spend tens of thousands each month on marketing. Instead, we believe in the idea of being a trusted, local small business that provides reliable, high-quality services at a great price. That's why our installers and service technicians are all factory trained and highly experienced. Additionally, they are certified by North American Technician Excellence (NATE), the most trusted certification organization for heating and air conditioning technicians in the U.S. It's also why we use upfront, flat-book pricing for our repairs and don't give our staff incentives or bonuses based upon sales. We want our customers to know that our techs have their best interests at heart and that their recommendations would be no different from what they'd recommend to their own family and friends. Our normal business hours are 8am to 5pm, Monday through Friday. We're also on call 7 days a week in order to respond to urgent or emergency furnace and air conditioner repair requests in Ventura or nearby cities. Anytime that we schedule service, we provide a two-hour appointment window and call ahead if it looks like our technician is starting to run late. When working in your home or office, we'll take great care to wear booties and lay down tarps where we will be working so that we don't leave dirt and debris behind. We'll also work efficiently so that we can minimize the inconvenience and get your system up and running as quickly as possible. If you are looking to install a new central heating and air conditioning system or want to replace an old furnace or air conditioner, then it's time to give us a call. Our HVAC experts provide free, no-obligation in-home consultations and estimates for furnace or air conditioner installations in the Ventura area. During a consultation, one of our factory trained and NATE certified installers will determine the best, most cost-effective way to heat and cool your home according to your specific preferences. 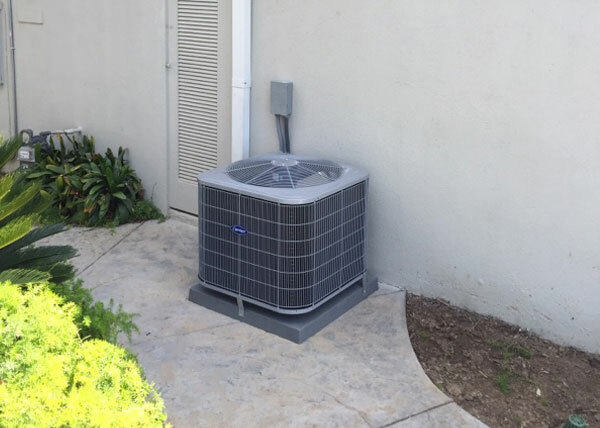 We sell and install Carrier's complete line of residential air conditioners, furnaces, heat pumps, and mini-split systems, and customize each system so that our Ventura customers can enjoy maximum indoor comfort and energy efficiency. Carrier offers a range of high-quality systems to accommodate most heating and/or cooling needs and budgets. Call us today to schedule your in-home consultation and estimate. Because Anacapa Heating & Air is a Carrier Factory Authorized Dealer, your new Carrier furnace or air conditioner will be backed by an impressive one-year, 100% satisfaction guarantee: If for any reason, you are dissatisfied with your newly installed equipment, we will do our best to fix it or completely remove it and refund your money. At Anacapa Heating & Air, we have more than 20 years of experience providing furnace repair services. Ventura area residents can count on us for accurate diagnostics, honest advice, expert workmanship, quality parts, and efficient service. Our service visits are only $69 and include having one of our NATE-certified HVAC technicians troubleshoot and diagnose the heating issue, and provide an upfront estimate for repairs. We use flat-book pricing and only recommend cost-effective solutions that meet your expressed heating goals. Since we don't give our techs sales incentives, you won't have to worry about them pushing products or services you don't need. If you decide to approve the repair work, we will apply the service visit fee towards the cost of repairs. Call to book your furnace repair in Ventura. Our standard business hours are 8am to 5pm, Monday through Friday, but we have technicians on call 7 days a week to handle emergency requests. Anacapa Heating & Air's experienced, NATE certified HVAC technicians are experts in air conditioner repair. They are qualified to diagnose and repair all major brands, including but not limited to Carrier, Bryant, Rheem, Goodman, Amana, Trane, Day & Night, York, Payne, Lennox, and Honeywell. On a service visit, our techs arrive in a service van well stocked with the latest diagnostic tools and equipment and commonly needed replacement parts. They apply the industry's best practices for air conditioning repair, take care to keep the work area clean, and work as efficiently as possible so that they can complete most repairs on the first visit. Out of respect for our customer's time, we book air conditioner service visits in two hour windows and call ahead of time to confirm the appointment time or to let you know if our tech is running late. Call today to schedule your air conditioning repair in Ventura or a nearby city. 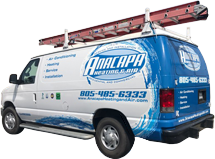 Anacapa Heating & Air's heating and air conditioning tune-up services help air conditioners, furnaces, heat pumps, and mini-split systems of all makes and models last longer, function better, and work more efficiently. Our preventative maintenance visits are affordably priced at just $79 per visit and include a 20-point inspection and tune-up by a highly experienced, NATE certified technician. For added value, we encourage residents and business owners in the Ventura area to join our Preventative Maintenance Club. This Club helps members stay on top of their recommended HVAC maintenance schedule, provides discounts on tune-up and repairs, and gives them priority scheduling. Each membership is personalized to the needs of the client and can include two to four tune-up visits a year. At the minimum, we recommend scheduling a furnace tune-up every fall and an air conditioner tune-up every spring. 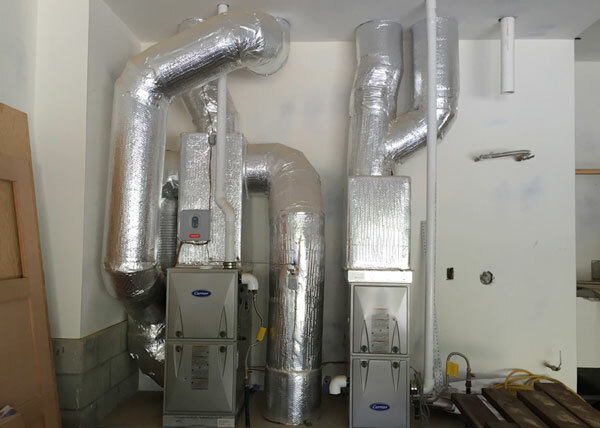 Anacapa Heating & Air is a licensed and insured mechanical contractor, qualified to provide a broad range of commercial and industrial HVAC services for Ventura area clients. Call us today to install, replace, maintain, or repair your commercial furnace, air conditioner, rooftop heating and air conditioning unit, boiler, exhaust fan, or ductless mini-split. We also offer HVAC and commercial kitchen exhaust ductwork cleaning, sealing, repair, installation, and replacement. Our expert, cost-effective HVAC services have earned us more than 20,000 satisfied clients over the last 20 years and an A+ rating from the Better Business Bureau. All of our HVAC installations are code compliant and meet or exceed current Title 24 requirements. Kevin is amazing and very hands on! He saved me more then I can say! I used a guy who was a self handyman with many years of HVAC exp. I trusted ??????? to use his 20 yrs of expertise and sadly I had 20k worth of damage after install. Needless to say I went to others to makes sure all was right! Kevin from Anacapa Air made it all right! I knew I would get a big bill but I was shocked it was a tiny bill! Thanks Kevin for being caring and covering the errors of a handyman I trusted. Mike Spears should kiss ur u know what as much trouble u saved him! I will never call anyone over ANACAPA air HVAC ever!! !